Apple is interested in dynamically adjusting iOS notifications based on a user's physical activity, such as silencing an iPhone or perhaps even a mythical "iWatch" when the user is exercising, or bugging them to get moving after an extended period of inactivity. The fitness-focused concepts were revealed in a new Apple patent application published this week by the U.S. Patent and Trademark Office, first discovered on Thursday by AppleInsider. 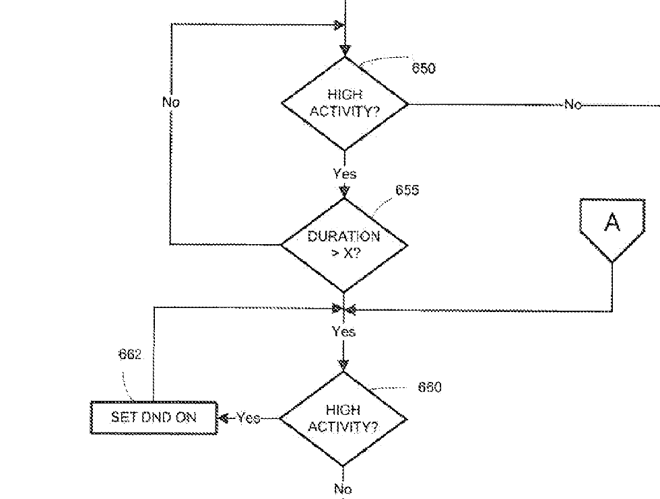 Entitled "Method and Apparatus for Automatically Adjusting the Operation of Notifications Based on Changes in a Physical Activity Level," it describes how a user's iPhone might take on a more active or passive role based on the current circumstances. The application repeatedly mentions the "Do Not Disturb" mode Apple introduced to its iOS platform beginning with the launch of iOS 6. 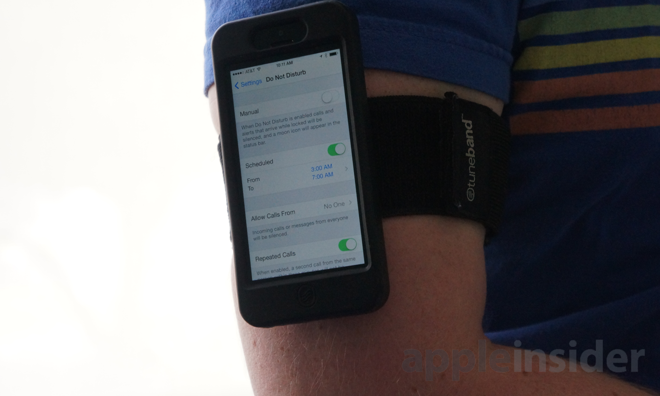 In one example, Apple says that if a user enabled the setting, an iPhone could automatically enter a Do Not Disturb state when the device detects that the person is exercising. Apple notes that an iPhone or other portable device could analyze data from its own onboard sensors, or from external connected devices such as a step tracker or heart rate monitor. If any of these detect that the person has a high activity level, notifications for text messages, emails and phone calls could be disregarded for the duration of the workout. The concept also requires that activity continue for a certain amount of time for Do Not Disturb to be enabled, ensuring that the system doesn't incorrectly interpret a brief high-activity event —such as walking up a flight of stairs —as a workout. "In this way, a short burst of activity— e.g., running to catch a bus— is not mistaken for the beginning of an exercise workout," the filing reads. In another method, Apple states that a user could manually enable Do Not Disturb at the start of a workout, and the system would automatically deactivate it at the conclusion of the exercise. Apple's system wouldn't just prevent annoyances during a workout— it would do exactly the opposite if a user hasn't been active enough. The filing states that reminders could be sent to the user's device if they haven't gone for a run in a few days, or it could simply advise them to get up from their desk if they've been sitting for too long. As with the existing Do Not Disturb function in iOS, Apple notes that certain notifications could be an exception to the rule. For example, texts or calls from certain contacts might be approved to send notifications no matter what, while repeated calls from the same contact could also be allowed to send an alert. Apple's application was first filed with the USPTO in January of 2013 before it was publicly disclosed this week. The proposed invention is credited to Natalia A. Ziemianska and Devrim Varoglu.